Click here to see a more detailed location map and get detailed directions. 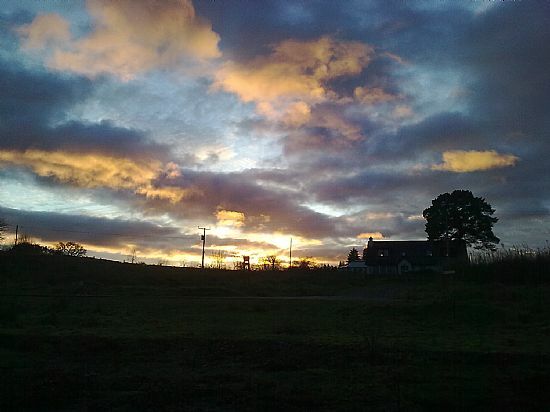 There are so many fabulous places to go withing a few miles of Taynuilt and Oban. Just one of the flowers from Angus Gardens just 10 minutes from here. 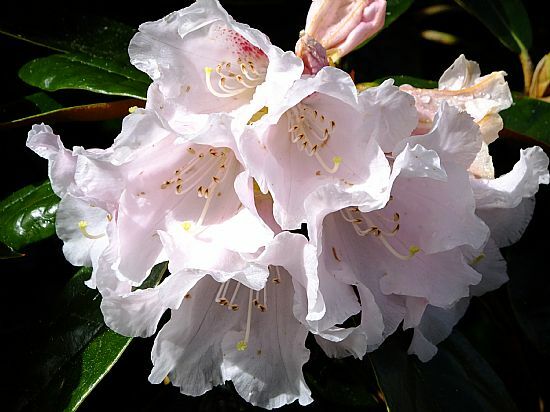 These gardens are pretty all year round but are particulary spectacular in spring and early summer. Lots of winding paths and a small loch to feed the ducks and swans. 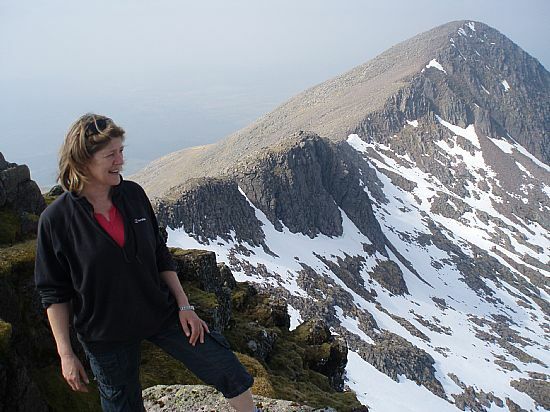 The mountains around this area are fabulous whether for beginners or experience mountaineers. 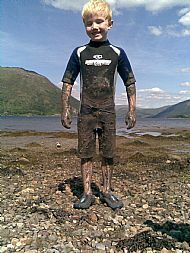 My husband Ian is a qualified Summer Mountain Guide and is available to take you out on the hills (booking in advance advised). Beautiful snowy day. 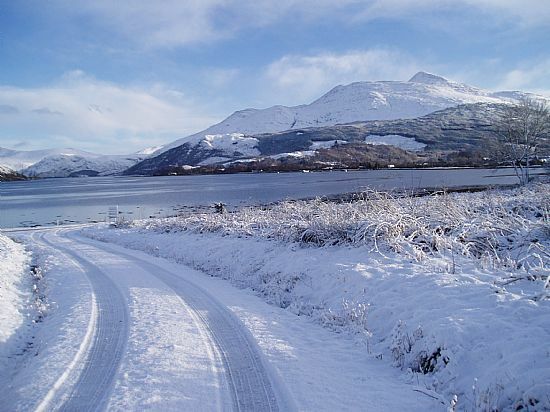 We are not far from Glen Coe and Nevis Range Ski Resorts, so why not try out some Scottish Skiing this winter. Our holiday apartment is open all year round the views are beautiful at any time of the year. Sand sand and more sand. 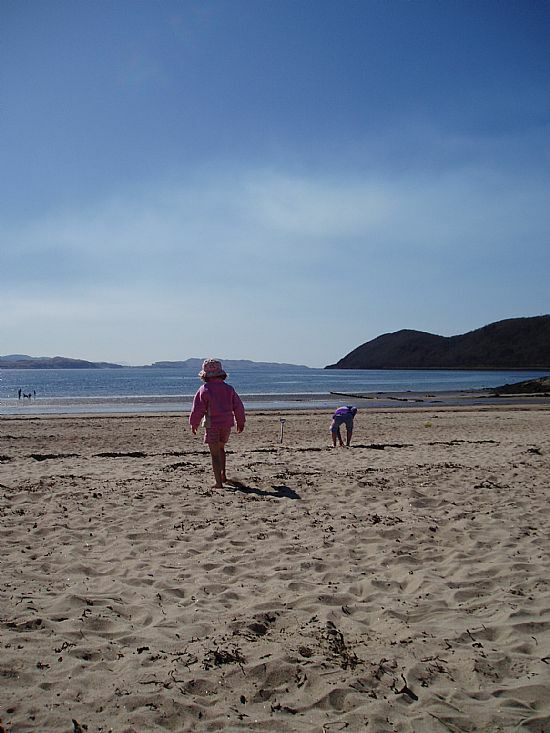 Tralee Beach is only 20 minutes away. It has a mile of golden sands and is never really busy. 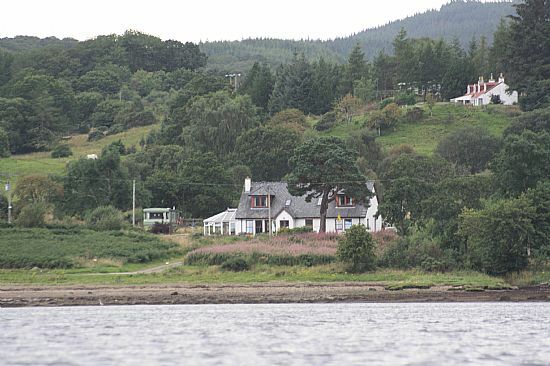 We go all year round and there's a flying fox at one end and is near to the good Ben Lora Tearoom, Benderloch. 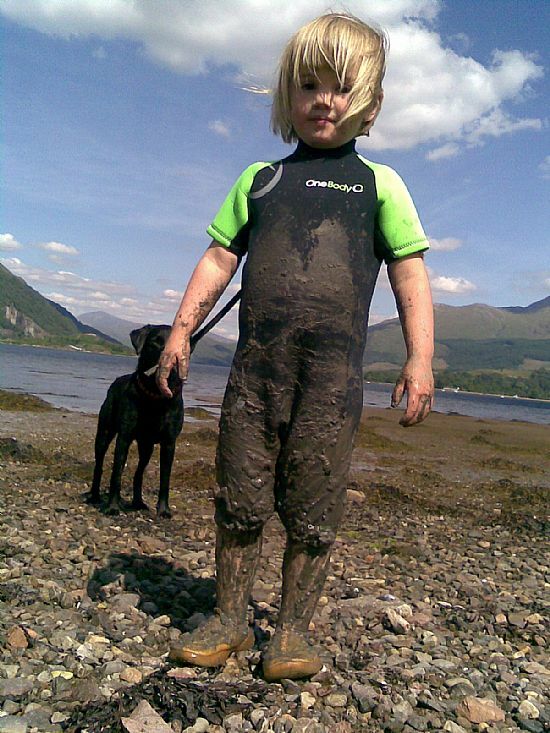 How dirty can you get! 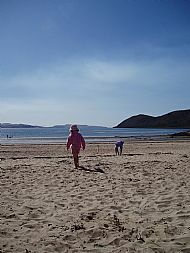 Great fun to be had on the beach just in front of our house. 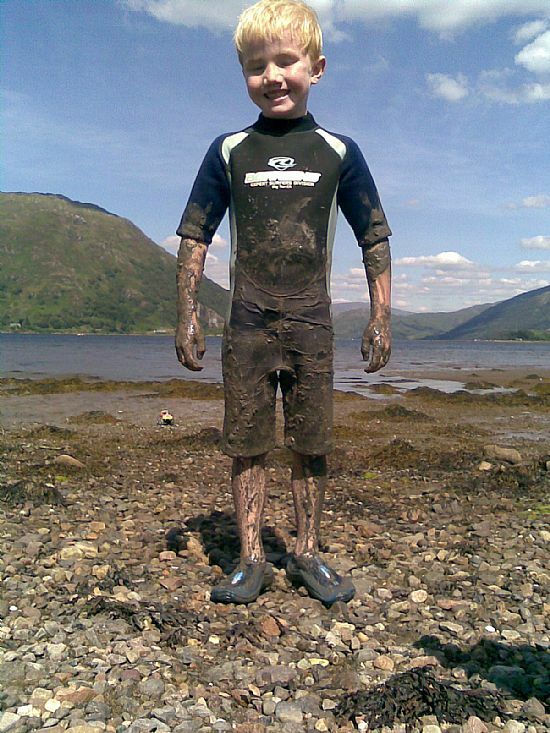 Just as well the Loch is near by to wash them, but I still had to hose them down when we got back! 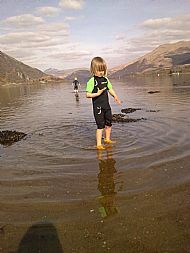 Another good day for paddling in the loch and trying to catch the crabs and tiny fish. 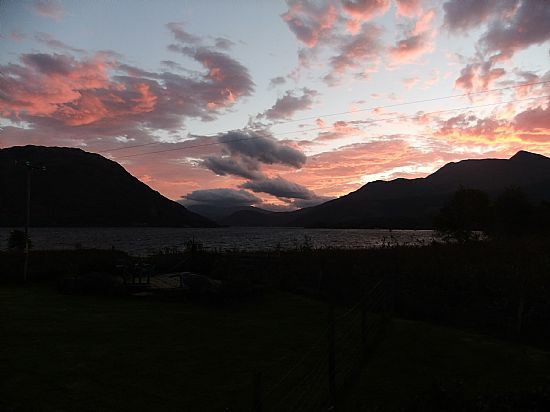 Get up early and see some of the spectacular sunrises over Loch Etive. Sunsets can be just as good. 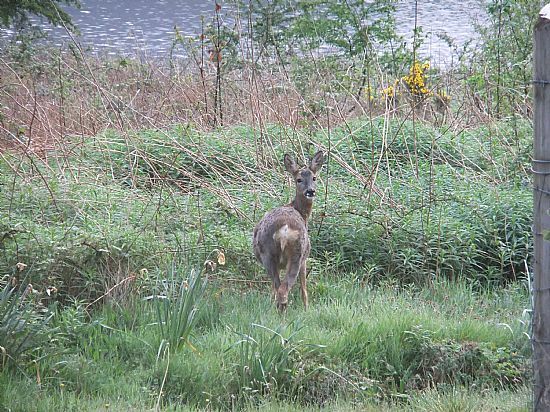 You don't have to go far to see the deer, this one was just outside my bedroom window. 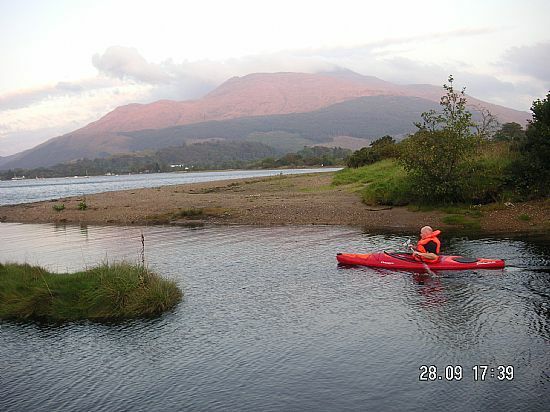 The loch is a peaceful place to kayak or canoe well worth bring yours up or hiring from Oban. 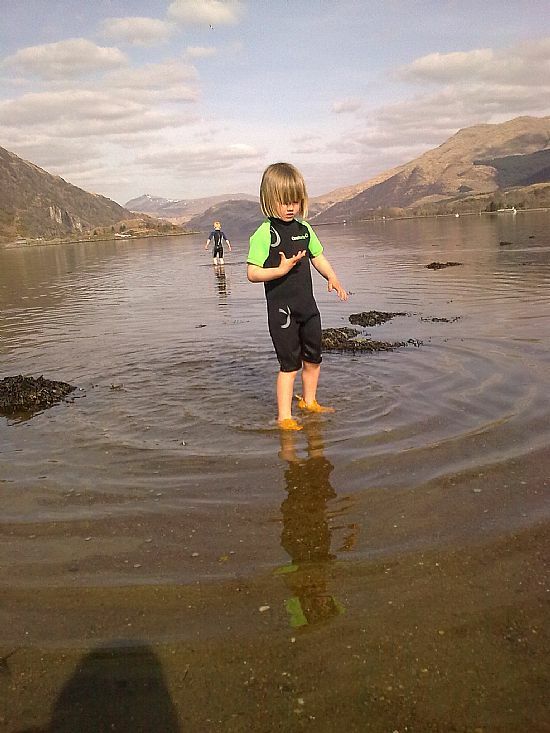 Kayaking is great on the loch and picture oportunities endless. Please telephone or email us for further information/booking enquires or fill in the Contact Us Form.